“Get Bitten by the Travel Bug” Sweepstakes is Underway! The “Get Bitten by the Travel Bug” sweepstakes is currently running on the Language Corps Facebook site! The sweepstakes will run all through July and will end on August 12, 2011. One lucky winner of the sweepstakes will receive a $1,000 voucher applicable to any one of the Language Corps programs. In addition, the winner will receive a travel pack which includes a waterproof camera, a travel bag, passport cover, and compass to take on the trip with them. Registration for the sweepstakes is simple. Just access the Language Corps Facebook page, Like the page and complete a simple sweepstakes form to be considered for the grand prize. 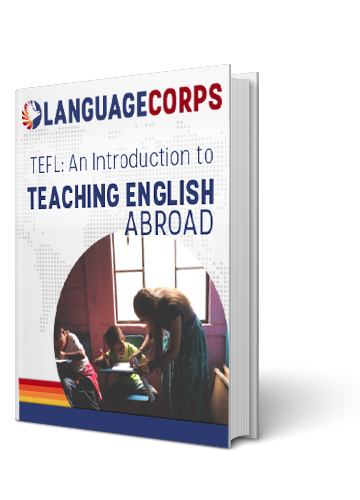 Language Corps is passionate about facilitating programs for native English speakers to teach English abroad. With Language Corps many enthusiastic young people and philanthropists in general have been able to fulfill their dreams of teaching English to children and adults abroad. Language Corps participants are able to teach English in Asia, Europe, and Latin America. Most participants return to their home countries with a better sense of themselves, living in another culture, and giving back. If you would like to be considered for this great opportunity to teach abroad then travel over to LanguageCorps.com. And if you would like to be eligible for the “Get Bitten by the Travel Bug” grand prize, then hurry and register for the sweepstakes today!